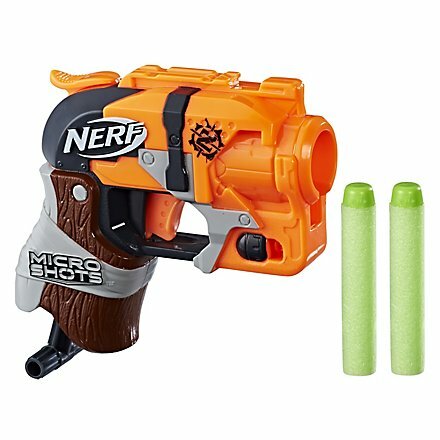 The top seller among the revolver blasters as a mini version! 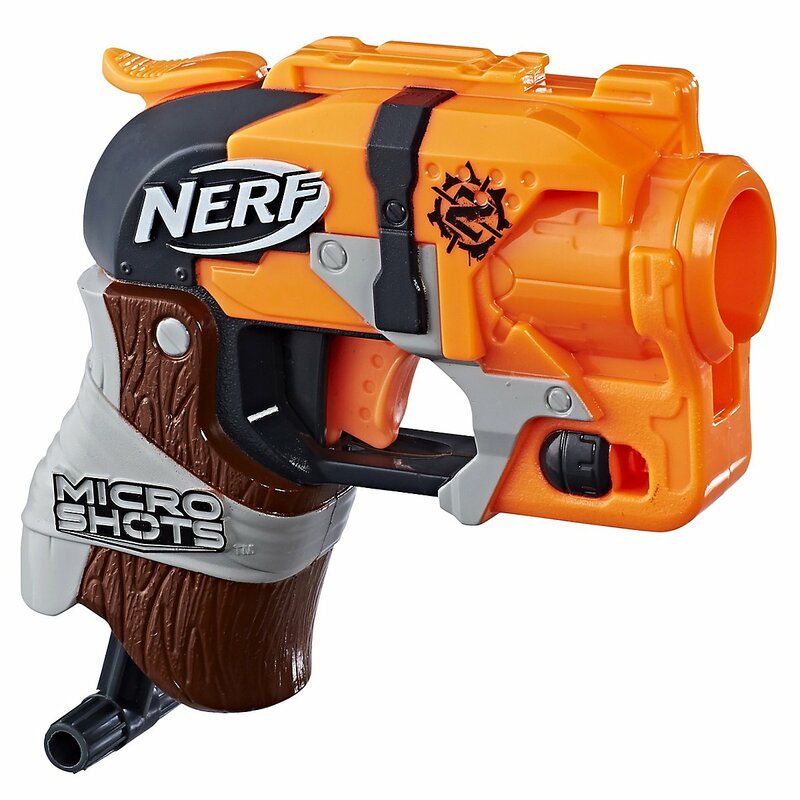 The Nerf Hammershot is here available as a little sister model for collectors! 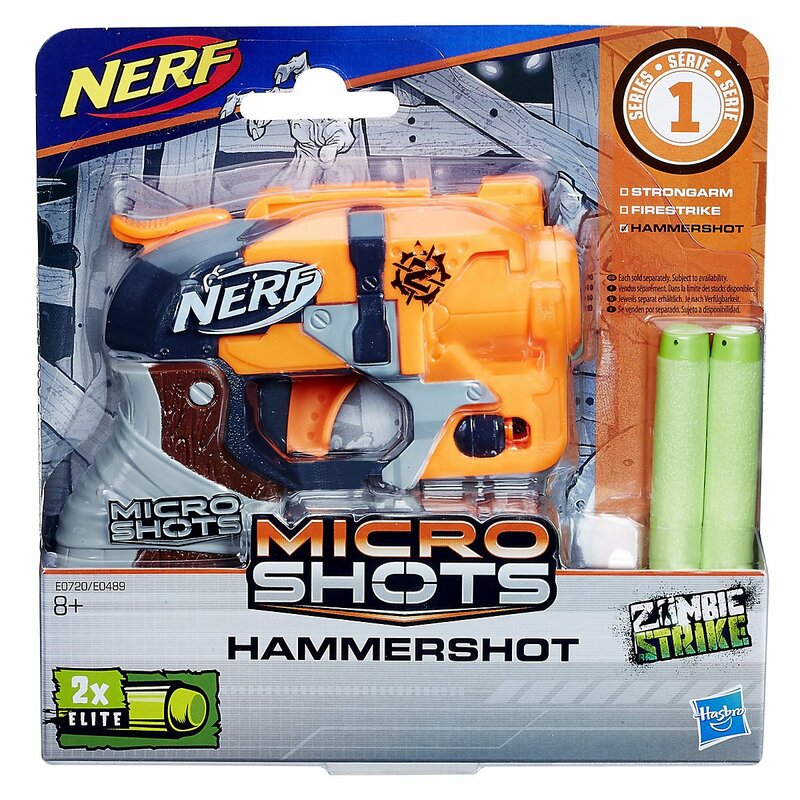 The Hammershot belongs to the absolute blaster classics and for its special services Hasbro now made the Hammershot mini version. The Hammershot doesn't take up any space anymore when fighting against hordes of undead or in Larp use. Good to hide, agile and always ready for a surprise out of your pocket!! The appearance of the big sister has been completely preserved; she's just a dwarf! Beside the Blaster 2 Zombie Strike Darts are included, all other Darts fit naturally also into the Hammershot.